Not sure how to organize the storage for your bathroom? 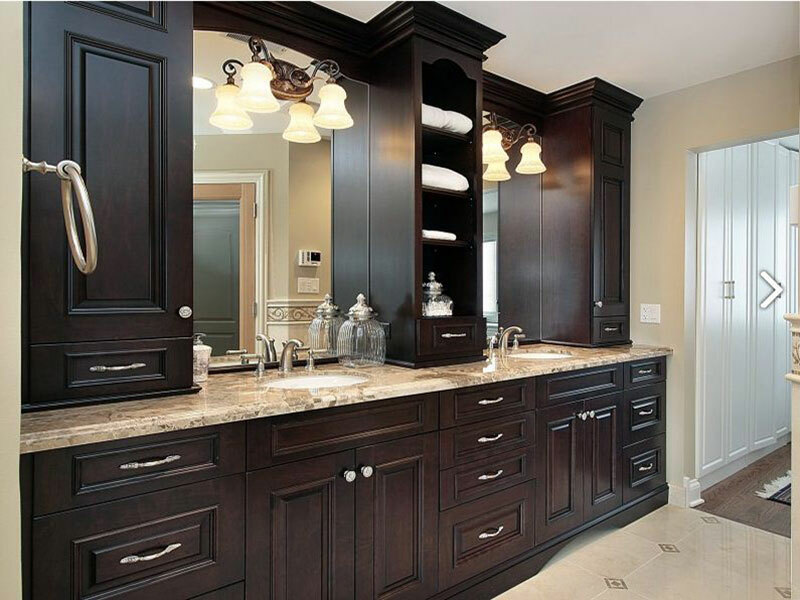 Check with us and we can design custom bathroom cabinets Toronto keeping in mind your specific needs. To begin with, we’ll need an idea about the size and dimensions of the bath. For instance, is it half a bath or does it include a shower area. Or, maybe, it has both, a bathtub and shower area. Accordingly, we’ll design a closet that is open with just racks and baskets to keep your makeup and toiletries sorted. But, if you have a larger bathroom, you could consider adding single or twin vanities with drawers in stylish wooden or glass and chrome. When it comes to drawers for the custom bathroom cabinets Toronto, you’ll be surprised at the versatility they can include. For instance, include mesh baskets with removable clothes’ hampers for easy laundry. Or, attach mesh baskets on the inside of the closet doors to keep smaller knickknacks in place. Looking for some additional elegance? Consider getting frosted glass doors that lend a roomy feel to the section. You could also get drawers with sections to keep smaller items sorted. We understand how to use the most compact of nooks and corners for storage especially when you have a compact bathroom. Trust in our smart ideas to create stacking space in the most unlikely of spots. You’ll also be surprised at the amount of space wall-mounted hooks and racks can save. And there’s more. Designing custom bathroom cabinets Toronto for any kind of user can be a fun project. We have for you a range of themes to choose from such as forest theme or maybe, an ocean theme. We’ll design the color schemes and other accessories of the cabinets to match the ambience you’re looking to create. Bathroom cabinets are not just essential for utility. When smartly designed and installed, they can add appeal and style to the bathroom. Contact us and watch as we work magic with drawers and closet doors.